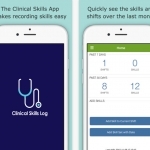 The Clinical Skills app is a procedure logging app for health providers who need to track their surgical or clinical procedures. 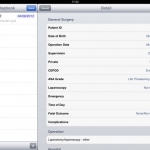 Surgical Logbook is a basic logbook which comes with some robust features such as statistics and export. The overall design and user interface is highly commended and the app is easy to use. There is no information given regarding the security of the logbook which is an important consideration before storing sensitive patient data.